Look at the overall theme or design of the house. 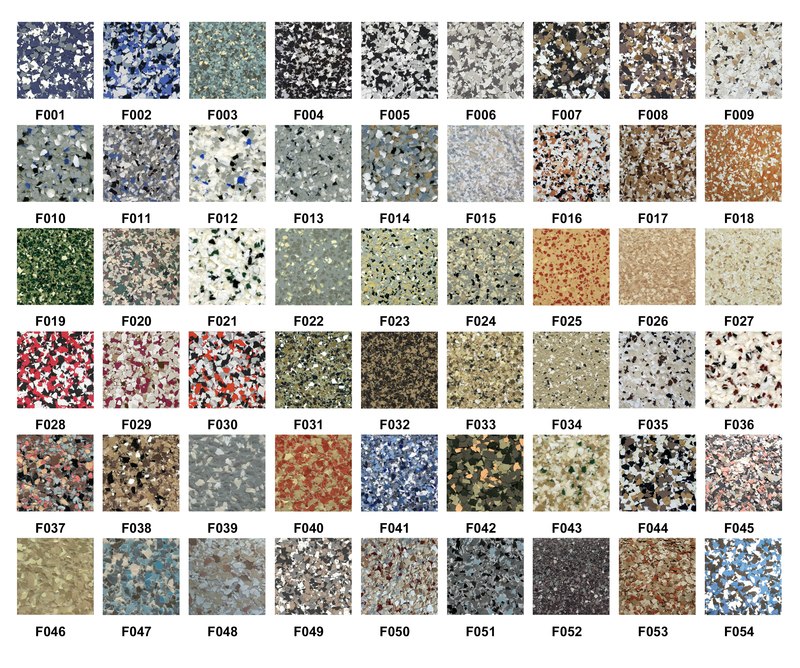 You can complement the look and the color of the house with the right design and color of the garage floor. Assess which color is perfect. If you are planning to do a full coverage floor, the main consideration is the color of the whole garage. However, if only a portion of the entire garage floor will be decorated on with color flakes or chips, then consider the color of the base floor. Make sure that the base floor color and that of the decorative flakes or chips would match. Assess which size of the color flakes or chips will fit the overall look of the house. The selection is from 1/32” to 1”. If you are not sure though, ¼” size is the safest choice, as this is the most preferred size by many. Assess the “traffic” or exposure of the garage floor. For example, if this is a busy area of the house, choose dark colors to minimize the need for frequent washing and cleaning. You may also want to add extra protection (like anti-slip products) especially if there are little children or elderly members of the family.